I have a ton of fabric scraps! In fact, I have so many that I sometimes don’t keep the smaller ones (gasp). I have been doing a lot of Scrap Busters lately and even did a round up of my favorite ones. 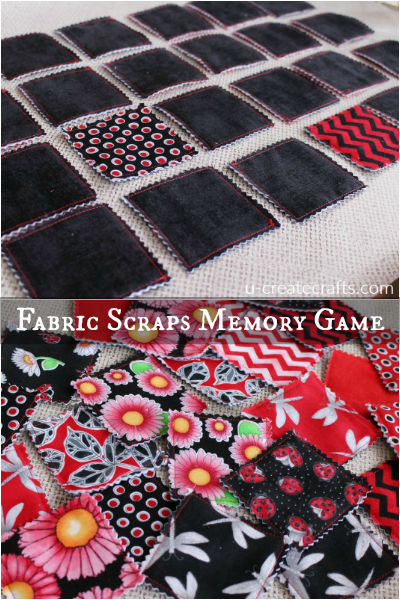 Here is a fabric scraps memory game I shared over at Skip to my Lou on November 14th. It’s a huge hit and I know you’ll love it. My 7 year old daughter LOVES those cardboard memory matching games…you know the ones! They’re often found at the dollar store and the cardboard pieces won’t lay flat or a younger sibling/pet has found one or two and now there are teeth marks. 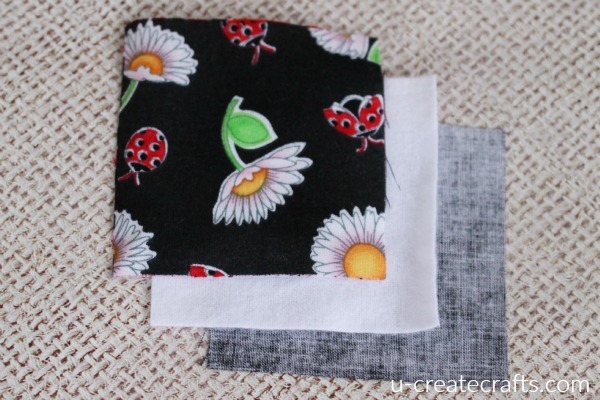 Well, in an attempt to solve all of life’s problems…just kidding, I am just trying to make a fun game for my daughter by using up my fabric scraps. I had to add a little drama though, right? Assemble each square set: print-flannel-backing. This is a good time to make sure you have a match of each print. 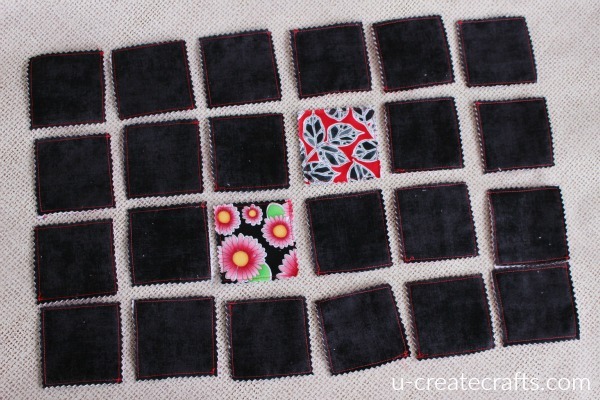 I assembled all the squares before I did any sewing. 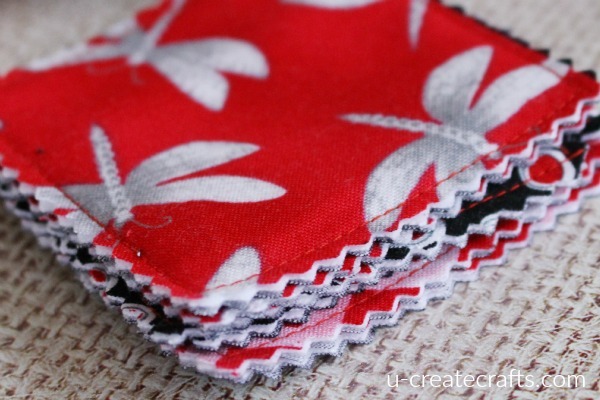 Start sewing in one corner, go all the way around the square using a 1/4 inch seam allowance. Step #3: Grab the pinking shears. Using the pinking shears, cut all the way around the square. 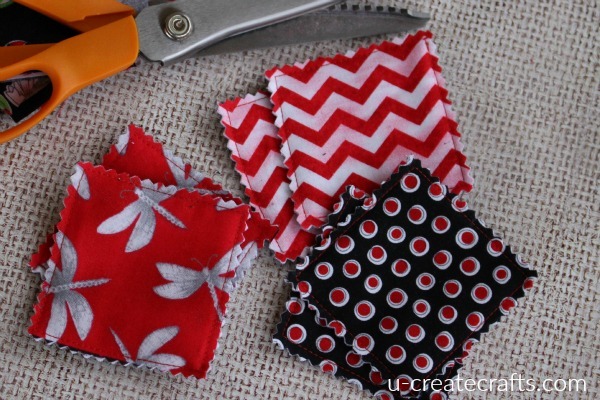 This not only adds a cute zig-zag look, but ensures the fabric won’t fray. 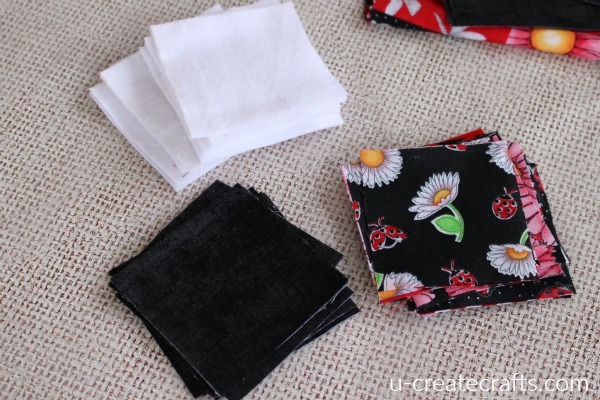 Step #4: Put the squares in a cute bag or box…or make one. We keep our game in a little pouch or wristlet that my daughter found at the mall. But you could easily make a fun envelope or clutch for this cute little game. This memory game is a great handmade gift for any little one. I am so glad to be able to share this tutorial with you today. 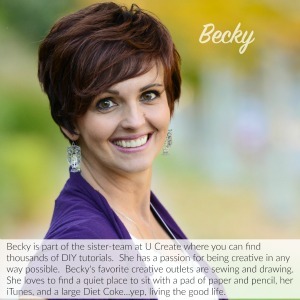 Remember if you make this craft be sure to share it on our Facebook page or tag us on Instagram @ucreateblog.